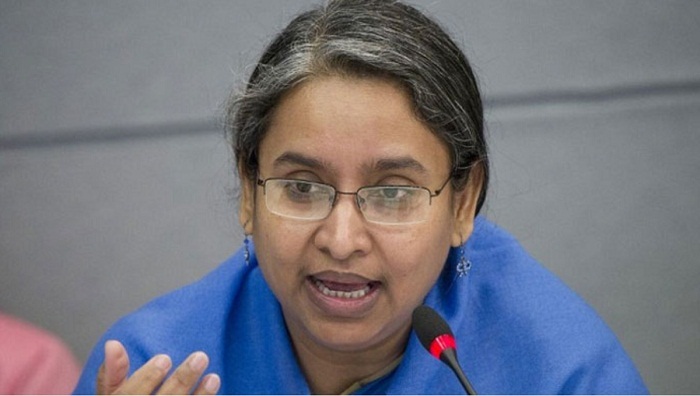 Education Minister Dr Dipu Moni on Thursday said the cooperation of guardians and students is mostly needed in checking the problem of question paper leak. Dipu Moni came up with the remark while talking to reporters at the circuit house in sadar upazila of Chandpur. “As long as the demand of leaked question papers will be there, the perpetrators will remain more active to find those out. It’s our duty to make sure that those won’t be leaked out. It’ll be possible to prevent question leak if guardians, teachers and students don’t try to get the leaked question,” she said. Action will be taken if anyone tries to collect any leaked question paper, she said. Replying to a query about changing the existing examination method, she said it will be considered in the future, if necessary. Deputy Commissioner of the district Md Majedur Rahman Khan, Additional Police Superintendent Md Mizanur Rahman, Sadar Upazila Nirbahi Officer (UNO) Kaniz Fatema, Awami League organising secretary of district unit Tafajjal Hossain were present.